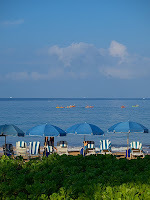 This morning there was a traffic jam of kayaks and paddleboards off Wailea Beach, which is the busiest beach in South Maui. Closer inspection revealed that instead of heading out in search of Humpback Whales, everyone was staying close to shore following a pod of dolphins back and forth. What a treat. 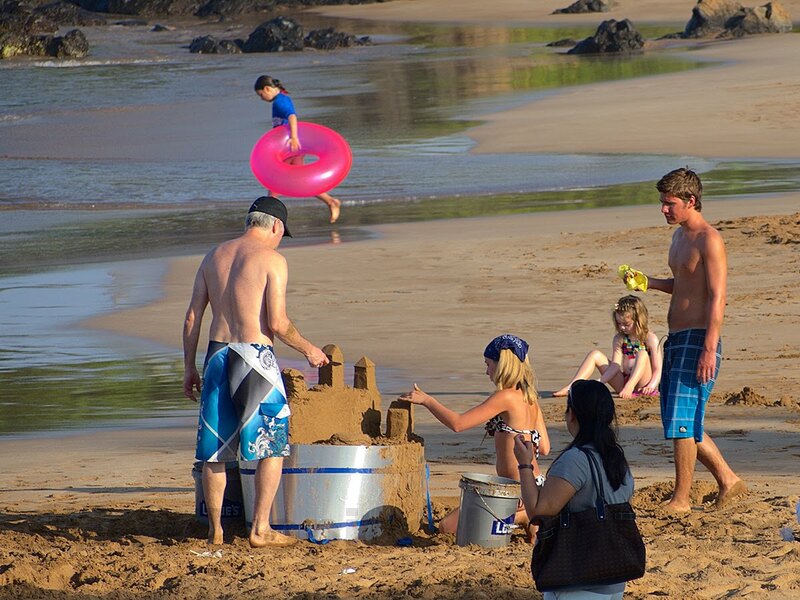 I also found a family that takes its Sand Castle building very seriously. They had professional tools and even a construction retaining wall. They have my respect. I only wish I could have stayed around to see the final result. 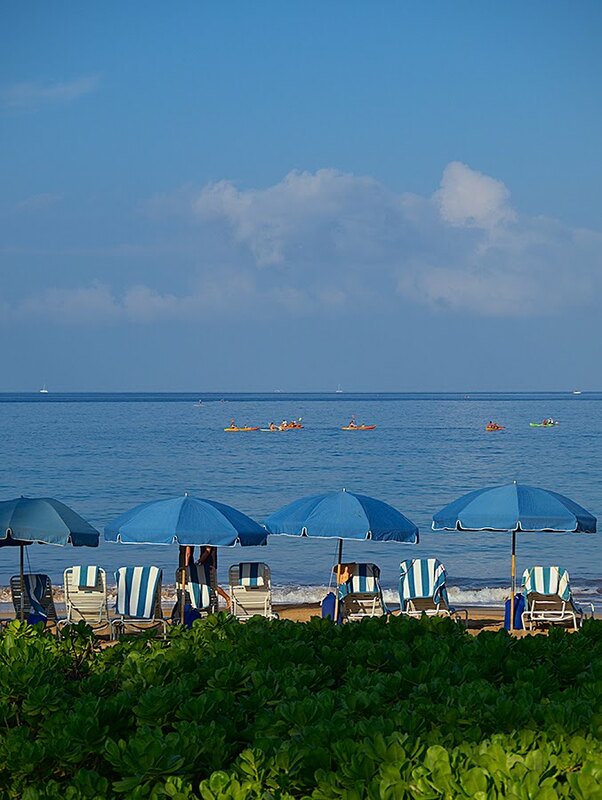 Just curious, do you swim out from shore or do you paddle out and jump in? How long are you swimming/treading? and typically how deep? Any distance swimmers/tri athletes in pink cap? 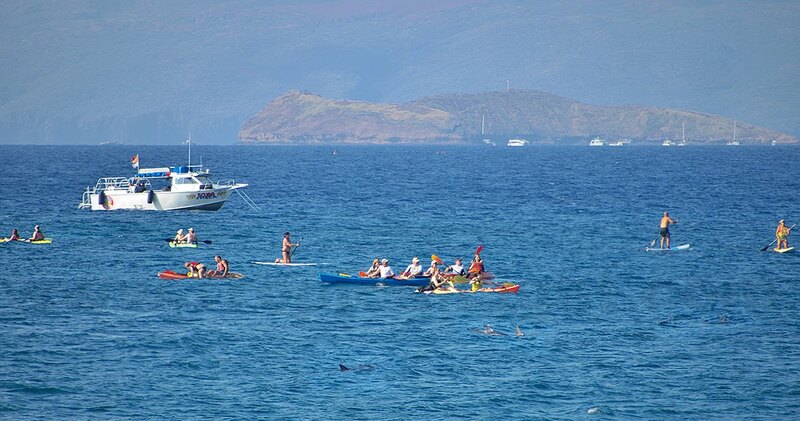 During the week I swim out from shore towing my kayak behind. 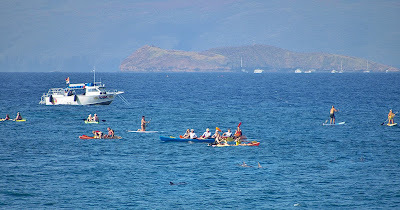 I never touch my kayak until it is time to return then, once in the kayak, I stay in until I reach shore. It is VERY tempting to jump in when near whales on the return, but I somehow resist. On Sundays there is a diverse crowd which breaks naturally into skill level groups. Some people swim fast, some people swim far, all kinds of people doing all kinds of things.